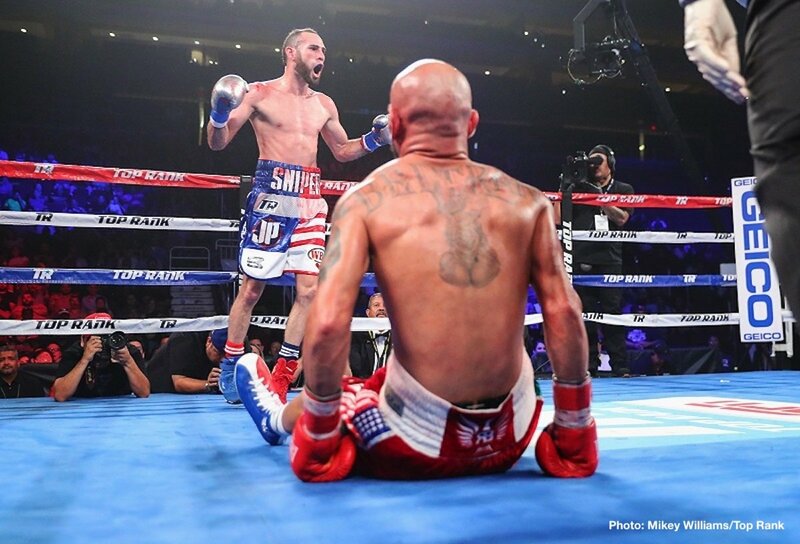 Puerto Rico’s Jose Pedraza achieved plenty in defeating tough and seasoned Mexican warrior Raymundo Beltran last night. Pedraza, now 25-1(12) won the WBO lightweight title with his 12-round unanimous decision victory, he also became a two-weight world champ (having previously held the IBF super-featherweight crown) and, perhaps biggest of all, the 29 year old earned himself a big fight with reigning pound-for-pound king Vasyl Lomachenko. Pedraza, a clever and tough switch-hitter, was too fast and too active for the 37 year old Beltran, even scoring a knockdown in the 11th-round, sealing the UD triumph. Scores were 117-110, 117-110 and a too-close 115-112. Beltran is now 35-8-1(21) and he was making the first defence of his belt. Pedraza will now enter the biggest fight of his career on December 1st. Can he possibly beat the returning (from a bad shoulder injury/major op) Lomachenko? Pedraza, speaking after last night’s win, said he has “the perfect style to beat him,” and “bring him on!” But in reality, does ANYONE have the style to beat the multi-talented southpaw from Ukraine? It might prove interesting seeing how Loma’s shoulder holds up – who knows, maybe Pedraza will get lucky, with the WBA and Ring Magazine champ hurting himself again – but that aside it’s tough to make a case for the new WBO champ winning the unification clash. Gervonta Davis stopped Pedraza, taking his 130 pound belt via seventh-round TKO back in January of 2017, and Lomachenko will be widely expected to halt Pedraza himself. The fights could get tougher for Loma up at 135 pounds, simply because he is no big lightweight, and he was pushed hard by Jorge Linares last time out. But again, it’s tough to see Pedraza derailing Lomachenko in just over three months’ time. As for the long-serving Beltran, last night’s loss was a tough break for him and it’s hard to see where he goes next. The tough and proud veteran has enjoyed a brief reign as a world champion, and after such a long and hard career he may decide he has done all he can at top level.